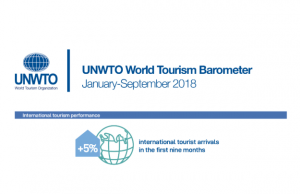 The first six months of 2010 saw international tourist arrivals grow by 7% according to the August Interim Update of the UNWTO World Tourism Barometer. This result confirms the recovery trend beginning in the last quarter of 2009 and is expected to continue in the second half of the year at a somewhat more moderate rate. The Interim Update was officially presented at the 4th UNWTO/PATA Forum on Tourism Trends and Outlook (2-4 September, Guilin, China) to tourism stakeholders from the public and private sector, as well as academia.